This was one way out of control show! This is listed as July 16, 1981. 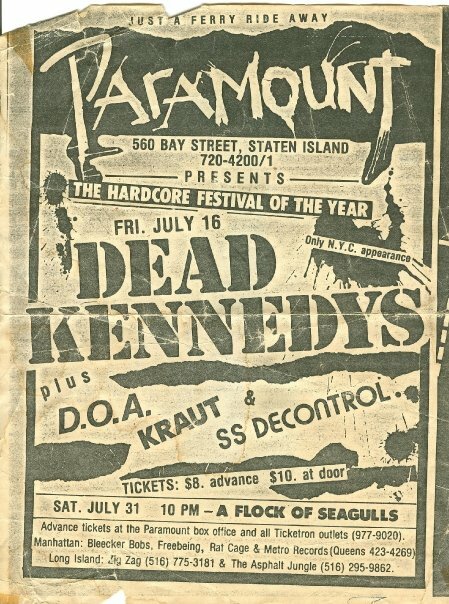 I was at this concert, it was 1982. It was, as Bob Trost says, out of control. I don’t remember it very well, being 36 years on (and it being a very long night for me) but I do remember it, and I remember the flow of the mosh pit well. Watched a very large man dive off the stage – so large the crowd actually parted, rather than catch him. Kind’ve felt bad, but he got up and staggered off.